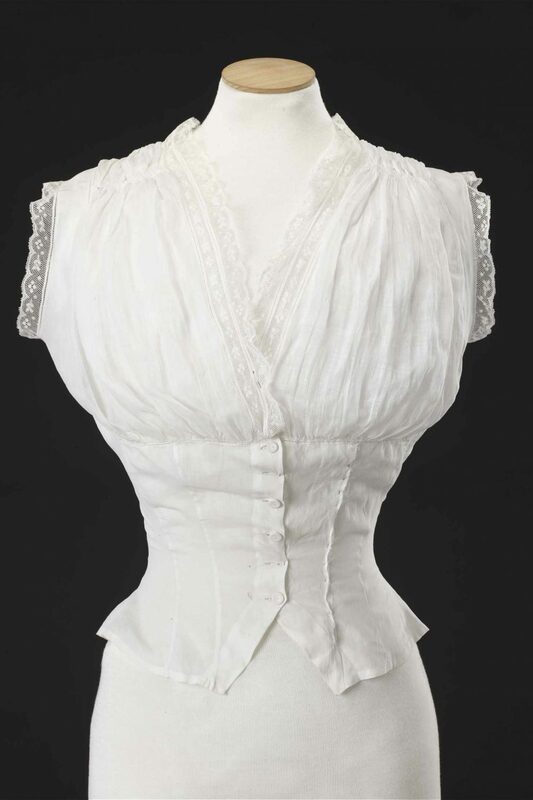 Camisoles, or corset covers as they were also known, were short sleeved or sleeveless bodices worn over corsets and under dress bodices from the middle of the 19th Century to the early decades of the 20th. Worn by all classes, they varied in quality, and although generally of white cotton or linen with matching trimmings, stout coloured examples were also common. Their style and proportions related to the upper bodice in simpler form. 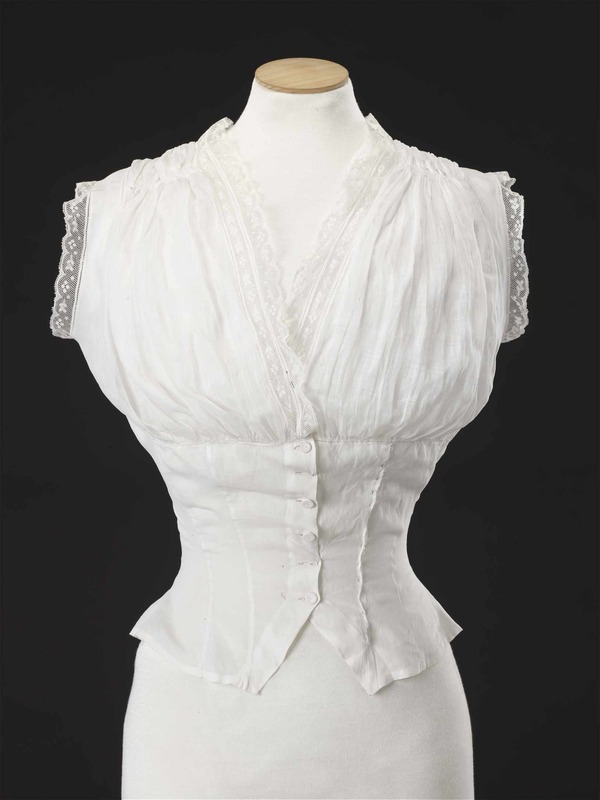 This camisole is made of fine linen which for many centuries had been used for the highest quality underwear. 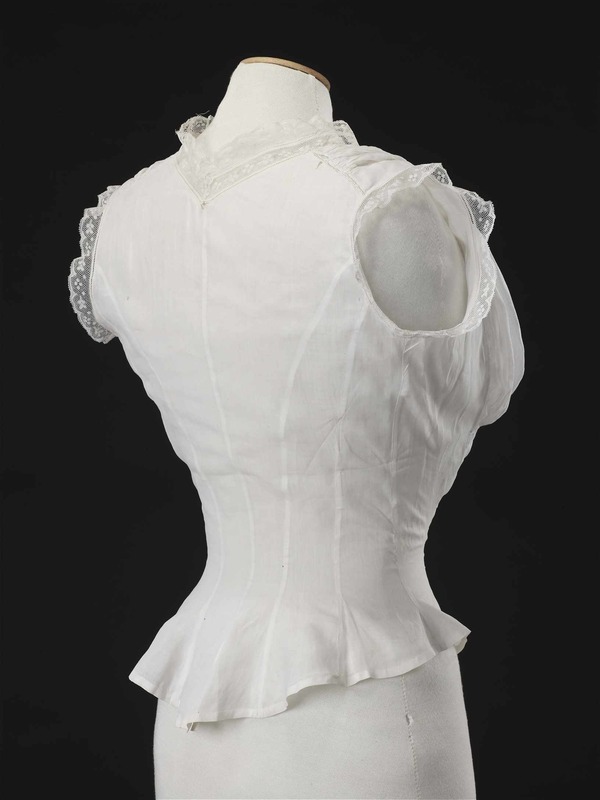 It is hand sewn with French seams, the front and the back each cut in six panels to produce a smooth fitted shape, with the base of the centre back seam split to fit over the bustle. The gathered front panel, of even finer translucent linen, reflects those on fashionable bodices known as plastrons, and the inverted V cut of the fastening also echoes contemporary styles. 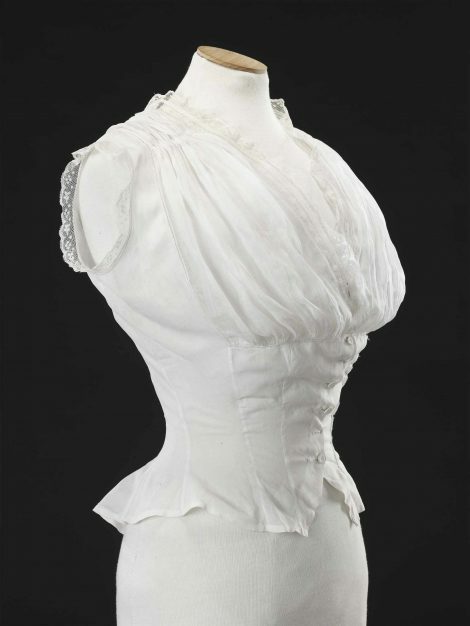 Sprigged lace edging and narrow faggoted braid border the deep neckline and the armholes, and the wearer’s ornate monogram is embroidered in white on the left side of the front.